We aim to deliver "Ek Acchi Chai". A perfect cup of "Chai" that inspires every Indian to Connect, Collaborate and Co-Create. "Go For Chai" is a provider of a wide range of authentic freshly brewed Chai at your doorstep. 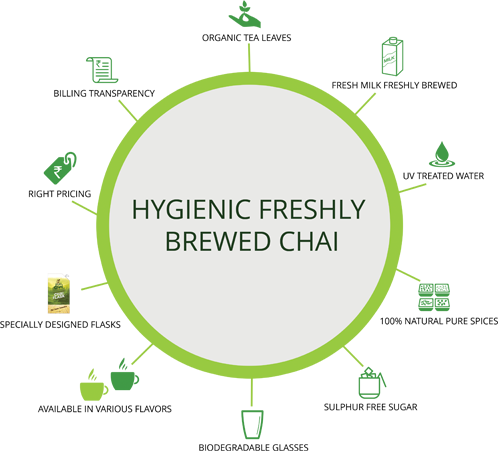 Our Chai is made with hand using fresh milk, UV treated water, natural spices, refined sugar with highest standards of hygiene and brewed to perfection to bring out the best. Delivery in around 30 minutes. Chai create an invitation to connection by saying, "Here I am to anybody that walks by. I will look at you and see you and connect with you and greet you and it doesn’t matter where you come from. I’m here and I see you and my heart is open and we can be friends if you want and we can connect right now". Local tea vendor "Go For Chai". They will come to your business and let your employees taste test number of their flavors. They’ve done this for us twice and it is a huge hit! It gets the employees involved and then you know they like it. They also allowed us to sample teas. Awesome customer service! They are reliable, reasonably priced, and best of all – local! Highly recommended! I was mesmerized specifically at the packaging of the tea, which I am sure would go a long way in attracting prospective customers. It was also an amazing feeling to taste the tea.... It has got a different type of aroma, which gives a refreshing feel. I would strongly suggest all tea-lovers to at least taste "Go For Chai" Tea once! The service and presentation of Go For Chai is spot on. They promptly update about the order status and make sure it is delivered quick and warm. The disposable tea flask does keep tea hot for considerable time. Moreover the taste of tea is really good. Even if you are not a tea connoisseur, you should sure try the various flavors they serve, every flavor has its own taste and aroma. Chai with Team is a subscription based Chai delivered to offices, shops or any workplace with a team of 10 - 100 employees. Its having fine "Ghar ki Chai" at your office. Here you can customize your order, schedule the frequency of delivery, change your flavors and subscribe to this on a short-term or long-term basis. 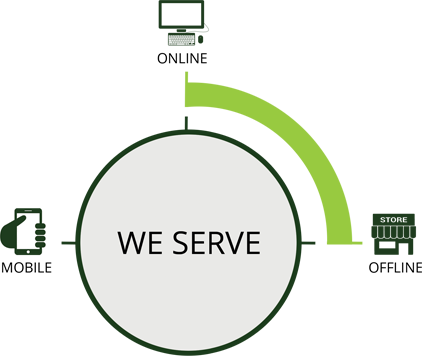 We ensure that your order is delivered on time at your doorstep.